‘Dinosaurs, Harryhausen and Me‘ will see a celebration of the work of our official conservator, Alan Friswell. 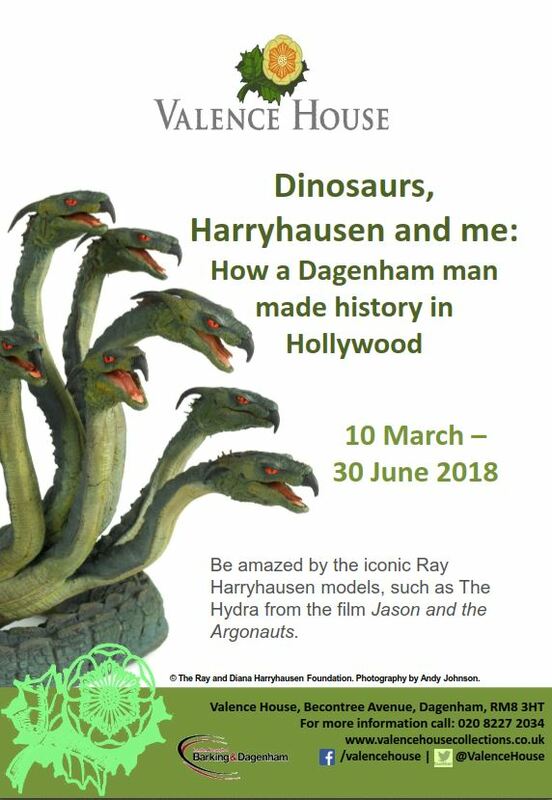 Hosted at the Valence House Museum in Dagenham, London, this unique exhibition will showcase some of the most famous models that Alan has restored for the Foundation, including models from ‘Jason and the Argonauts’, ‘Clash of the Titans’ and ‘The Valley of Gwangi’. Also on display will be Ray’s original artwork for many of the pieces on display, alongside models created by Alan for other films and projects throughout his career. Thank you for exhibiting the work of Ray Harryhausen. I really enjoyed visiting and the staff were very friendly and helpful. Perhaps more of Ray’s work can be hekd in your fine museum? I’ll be in London in August — so sorry I’ll miss this exhibit! It sounds wonderful. Any chance of it traveling to other institutions?